If you have psychic gifts, are a medium, or work doing any other type of heart-based service (healer, massage therapist, spiritual mentor, etc. ), the topic of money can be really uncomfortable. It can be so hard to accept money in exchange for helping others, can’t it? Ugh! One thing I’ve noticed with many of my mentoring students and fellow soulpreneurs is that they desire to make a living using their spiritual gifts, but the thought of actually charging money FREAKS them out. Believe it or not, this feeling is totally normal. Working through our heart-space is something that we are called to do in a very genuine way, and money is never what motivated us to pursue our calling. For most of us, we just followed our joy, and it led to helping others. 1. What Are You Getting Paid For? For the first 10 years I did this work, I did not make one cent. Each time someone needed help, I would pay a babysitter to take care of my children so that I could focus completely on whomever I was helping. I gladly gave my time and energy to anyone who needed me for intuitive guidance, or to connect with their loved one in spirit. Friends kept encouraging me to charge a fee, but the thought of it made me uncomfortable. I felt like if I took money from people who were in need, it desecrated the work. Thinking of it in this way did help me, and I started accepting a small fee. I’m sure you’ve heard this before: there should be an exchange of energy when offering your heart-based services or using your psychic gifts. One way to do this is to accept money in exchange for your services. Money is energy. Of course, if you are called to occasionally help someone at no charge, or discount your fee, that’s OK, too. Listen to your Inner Being and do what makes you feel comfortable. Soulpreneur Tip: If someone offers to trade services with you, make sure you feel it is an equal exchange of energy. When I realized this, it was a total shock-aroo! People are OK about paying for what you offer. She went on to explain that she would like to become a regular client, but felt as though she was taking advantage of me if she didn’t pay… it would make her uncomfortable. Wow! I had never thought about it like that! I mentioned this to a friend of mine and she said that she had felt the same way! What a shocker! My friend explained that she wanted me to give her a mediumship reading, but she had been holding back asking because she didn’t want to take advantage of me. We ended up working the whole thing out and she became my first paying client! Things like classes, books, and mentoring cost money. For those of you who are called to tarot or crystals, you have the expense of those supplies as well. And often, we have to travel to take a particular class, or study with a particular mentor, so there are travel and meal costs. It all adds up. 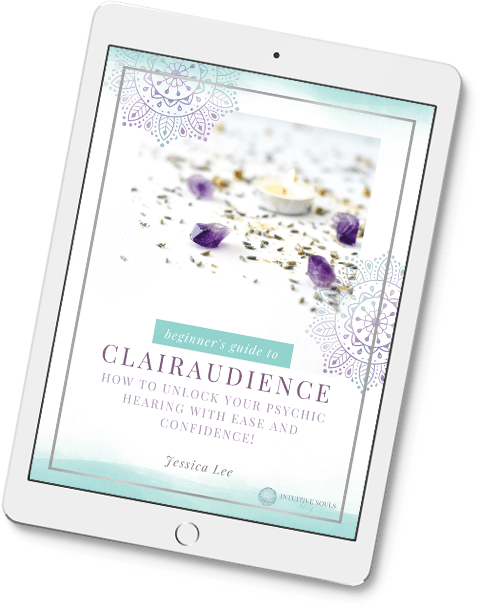 Most professionals I know (myself included) have spent many thousands of dollars to develop their psychic gifts or pursue whatever dream calls to them. Each day, people get paid to use their natural talents and abilities. Doctors, athletes, musicians, carpenters, and designers are just a few that come to mind. It just so happens that your gift is of a spiritual nature – and this is what trips many people up. How wonderful would it be to support myself financially while doing what I love and helping others at the same time? 2013 was my first full year as a psychic medium blogger and my expenses were in the thousands of dollars. For 2014, the costs to run my two blogs exceeded $5,000. Once again, the fee you receive for your work can be reinvested into helping your business grow, which means more people that need help can find you! If you decide to start charging money for your psychic gifts or other heart centered services, the fee you set is entirely up to you. If you’d like to get your feet wet and see how it feels, start small. You can always increase your rates as you get more comfortable. I would agree that anyone giving a good or service should be compensated for that, everyone has got to make a living. I was wondering how one would become a psychic, do you just realize one day you have a gift? How would you differentiate that from just basic human intuition, and are there schools to hone your skills? I’ll look for posts on these topics, but if you haven’t already written about them, I would be curious to find out.